New dome cameras by CBC are the ideal solution for mixed lighting conditions. Seawolf’s ultra wide dynamic range gives our new dome cameras significantly improved exposure performance. Pixim Inc., a leading provider of imaging chips for enterprise security cameras, announced that CBC (America) has launched the new 8000 series dome cameras integrating Pixim’s new Seawolf chip. 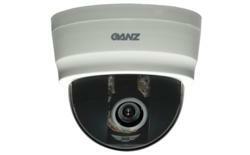 The cameras are available in indoor and outdoor models with multiple mounting options. Based on Seawolf, the 8000 series cameras adjust to highlights and lowlights in the same scene, capturing the entire picture even in the most challenging, mixed lighting conditions. Additionally, the high-performance cameras offer 690 HTVL effective resolution and the industry’s proven best wide dynamic range. The new CBC cameras require just 0.1 lux of illumination to produce usable, color images at a full 30 frames per second, and can produce video in light as low as 0.001 lux when slow shutter modes are enabled. “It’s exciting to see Seawolf’s capabilities used to its full advantages by a company already well recognized in the security industry for its quality products,” says John Monti, Pixim’s vice president, marketing and business development. For over 30 years, CBC (AMERICA) Corp. has been a leader in intelligent analog and IP video surveillance systems. CBC’s expansive product line and world-class customer support has made them the security system provider choice of businesses worldwide. computar lenses have long been recognized as the leader in the surveillance industry; Ganz brand has assumed a parallel position in intelligent analog and IP video surveillance solutions, NVR servers & software, cloud video surveillance, DVRs and accessories.